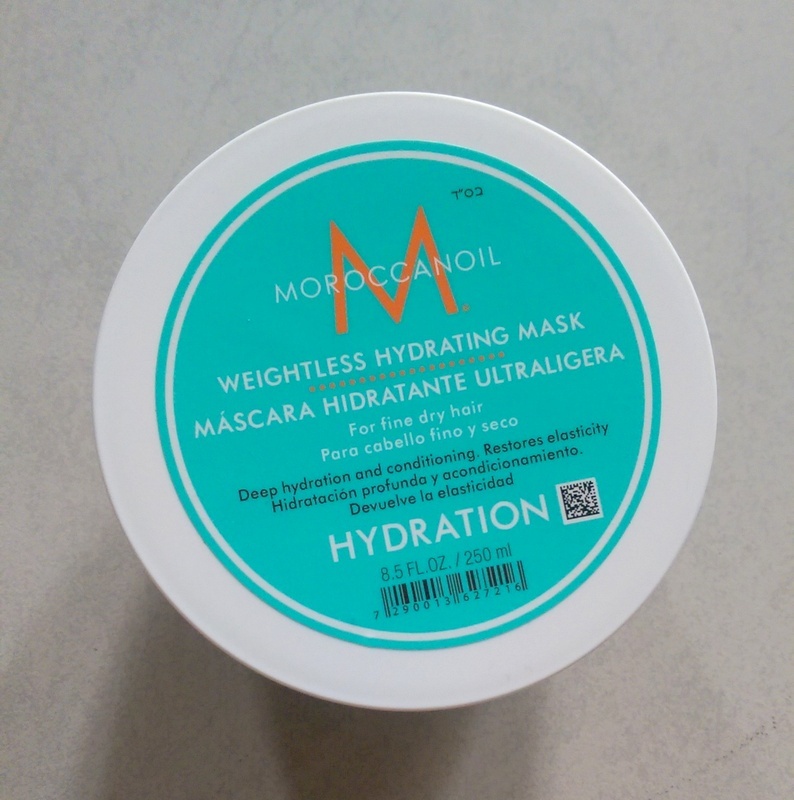 It’s almost time to wrap things up for the year, but not just yet – I’ve got a few beauty bits and pieces I want to chat about, the first being Moroccanoil Weightless Hydrating mask (usually R420 but now just R336 from retailbox.co.za). A small scoop with three fingers goes a long way. It’s been formulated for fine hair in need of a little more hydration (i.e. me after I’ve tortured my hair with too many hot styling tools) but I was a little nervy about trying it as my hair’s super fine and Moroccanoil’s volumising conditioner, which should’ve been ideal, was a bit too heavy for me and left my hair feeling greasy. It would be only natural to assume that the mask would then be even heavier but – surprise – it worked like a bomb. I waited for a day where I could afford to rewash my hair if I needed to and massaged it all over my hair, from root to tip. I then waited five minutes or so before washing it out and the result was bouncy, clean-feeling hair that was easy to comb while wet and soft and shiny while dry. It also gave my hair that yummy, musky Moroccanoil scent that I never used to appreciate but now just can’t get enough of. While I wouldn’t rely on this mask to ‘repair’ any kind of damage (for that you need to look out for keratin), it does do exactly what it promises – extra hydration for fine, dry hair. Now let’s chat about Vivabox (R990, exclusive to Red Square). If you’re currently running around with crazy eyes trying to find a last minute gift this one could be a goodie. 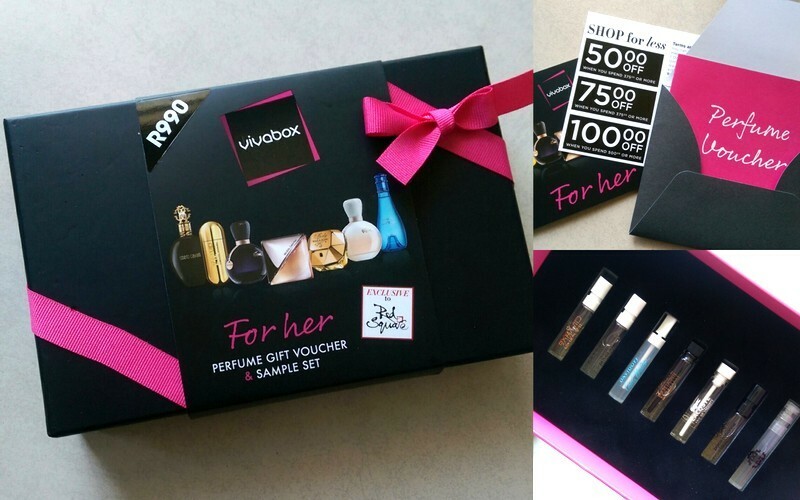 Essentially, it’s a beautifully packaged box of six fragrance samples that includes a voucher to snap up the full-sized version of the scent. Carolina Herrera 212 VIP, Robert Cavalli Nero Assoluto (yep, I’d never heard of that one either), Eau De Lacoste Sensuelle, Eau De Lacoste, Calvin Klein Reveal, Paco Rabanne Lady Million and Davidoff Cool Water Woman. Vivabox, isn’t just for girls – there’s a guys version too. For more info, pop on over to Red Square online. 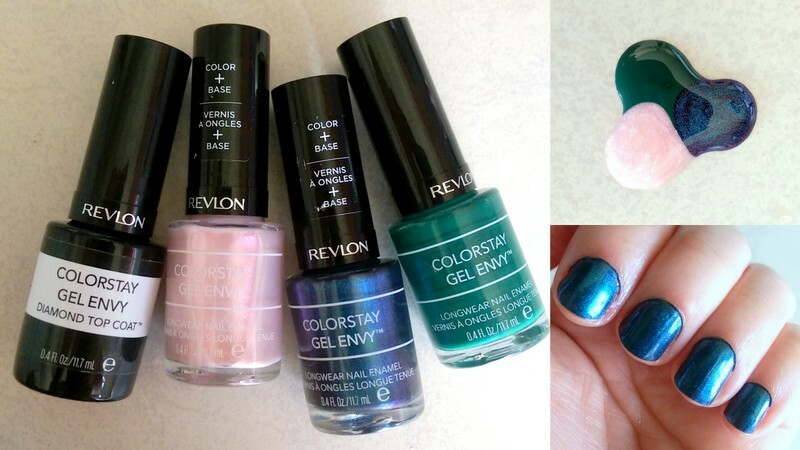 Last but not least, I want to tell you about Revlon Colorstay Gel Envy longwear nail enamel (R110). Available in 30 shades all inspired by the casino, they combine a base coat and colour in one, but I’d still suggest you use a base coat anyway to prevent staining. As far as promises go, when used in conjunction with the Diamond Top Coat, the polishes aim to serve up long-wearing vibrant colour with a gel-like shine. From left to right: The Diamond Top Coat, Beginners Luck, All In and High Stakes. While it’s true, the colours do look just as glossy with gel on day one of wearing the top coat, this eventually diminishes as the days roll on and by day three the colour I’d trialled (All In) had started to chip. Still, I’m always typing which is hard on your nails so, if you’re me, three days is pretty good. I also liked the nice, long brush which I didn’t photograph ‘cos I’m a moron which made the colour very easy to apply. Being a nice ‘opaque’ formula, you only needed two coats to get the full effect – and this goes for all the shades, even Beginners Luck. In all – or All In – I reckon Revlon’s doing themselves a disservice by comparing this to gel ‘cos it’s nothing like that and if you go in expecting that you’ll be disappointed. However, if you’re looking for a long-wearing nail colour, you’re going to be impressed.